Eukaryotic Cell Genetics reviews the state of knowledge in somatic cell genetics. The book begins by discussing the development of somatic cell genetics, focusing on the estimation of mutation rates in mammalian cells, with frequent reference to the use of drug resistance as a selective character. It then considers some of the specific properties of such variants in order to understand their molecular basis. 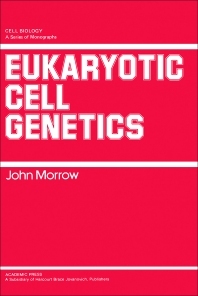 The subsequent chapters examine the properties of specific types of auxotrophic variants; the means by which eukaryotic cells may be reassembled to give rise to viable cellular composites; gene regulation in eukaryotic organisms; and chromosome mapping. The discussions also include differentiation in cultured cells; neoplastic transformation; the modulation of gene expression in cultured cells; mutation induction in cultured cells; applications of cell culture; and the mechanism of cellular aging. This book is intended for researchers in the fields of genetics and molecular biology, nonspecialists interested in what is happening in a very exciting area of biology, and students at the graduate level in cell biology.